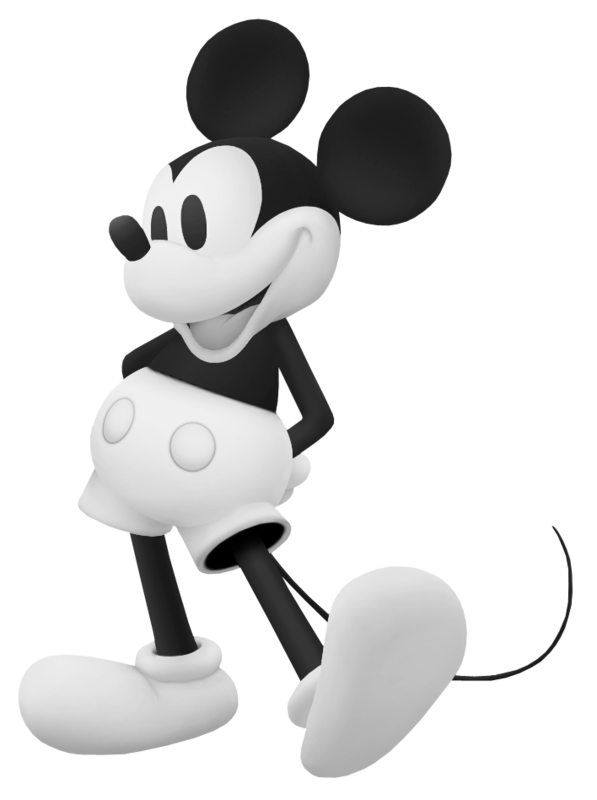 Before ever becoming a Keyblade Wielding King, Mickey Mouse was another ordinary mouse, albeit with a fondness of mischief. He was hired as Captain Pete's helper on the steamboat, but seemed to do anything but actual work. Regardless, Mickey was as every bit as courageous and compassionate in the past as he is known to be in the present, and never once let Sora fight alone in the world of the past.